Round seven takes us to the quarter season mark as all our sides look to push for places at the top of the table, or fight to get away from the strugglers at the bottom. 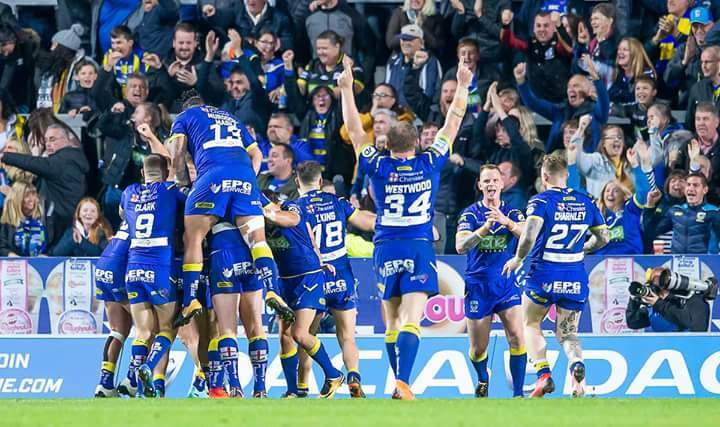 First up was a Thursday night fixture between Wakefield Trinity and the Warrington Wolves with the home side looking for a win to celebrate the news that they have secured the freehold of their ground and that they can now push ahead with their plans to modernise. Fifth placed Wakefield went into the game four points adrift of a Warrington side who needed the two points, and a big points win, to jump ahead of St Helens to the top of the pile. Wakefield were without, amongsth others, a long-term injured Tom Johnstone, while the visitors were without Ben Westwood who picked up a four match ban in the win over Wigan. It was definetly a mixed game and Wakey certainly had us all worried at the end, but I'm happy that we got the 2 points. Credit to Wakefield on their effort to come back like they did.